Today, 20th March, would have been the birthday of David Warren – the Aussie who invented the “black box” or Flight Data Recorder. I have told many of David’s stories and to celebrate today, I will tell a more recent achievement of this amazing man. 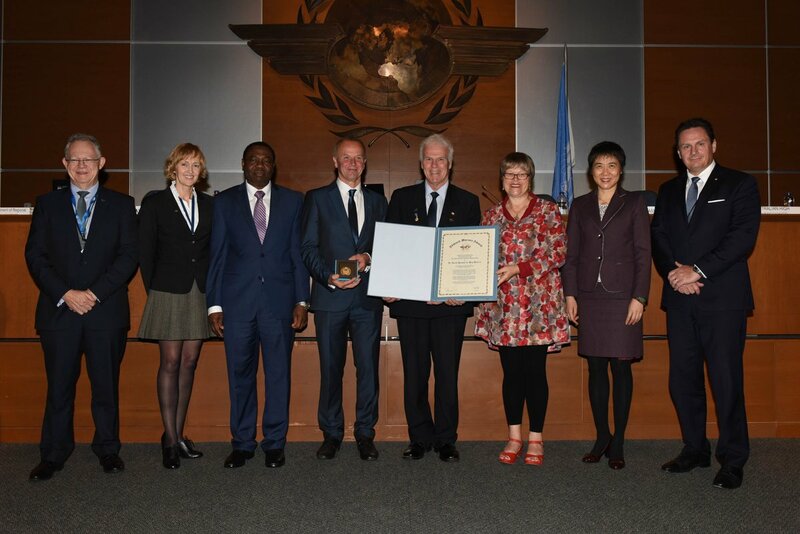 In September 2016, David Warren was post-humously awarded the International Civil Aviation Organisation award called the ‘Edward Warner Award’. This award is bestowed once every 3 years at the Assembly to honor the greatest achievements in civil aviation safety! The award being accepted in Canada by David’s daughter Jenny Warren and some other members of his family. What a beautiful award. Happy Birthday David! This was in no small part due to your efforts in keeping his memory alive. Eve – this is fantastic! I definitely think we should have an airport named after David Warren!! Your message from 2012 is still continuing to reach people for the first time, so imagine how many people now, in 2018, know the name David Warren. I am so impressed by your efforts. Don’t give up, I reckon you’re so close to getting that airport named after him!! Well done.